Just wanted to bring up MechWarrior: Living Legends here, as it seems there hasn't been much of a proper update within the BT community as to its status. MWLL, for those that don't know, is a total conversion mod for the Crysis Wars game, featuring multiplayer-only combined-arms combat similar to what you find in games like BattleField. MWLL offers a first-person experience of piloting mechs, tanks, hovercraft, VTOLs, aerospace fighters, and even battle armor. It won Mod of the Year and Multiplayer Mod of the Year awards in 2009. The mod has become a standalone "total conversion game" now, only requiring the Crysis Wars demo to run, which comes integrated into the installation. Although development was stopped by Wandering Samurai Studios back in 2013, it has been resumed since 2016, by its own community. Since then, the mod has not only became a standalone game, but it's picked up a couple new assets, fixed numerous bugs and gameplay issues, and even got its own server browsing service (whereas before MWLL had to rely on third party providers). Furthermore, you don't need to worry about CD keys to connect to servers, as the installer includes a CD key generator (and servers shouldn't be asking for them anyway). More new content and features are planned to arrive in future updates, including MOAR mechs, vehicles, and maybe even new battle armor! Although our community is small, it is very passionate about both MWLL and BattleTech, and we're always looking to expand. A server exclusively for players (new and experienced alike) to test assets or equipment is set up. Weekends always have a Chaos March event running, in which factions compete over planets. Sometimes an additional unit-hosted event takes place as well. We look forward to seeing you on the field of battle! And I completely forgot to throw in some footage! And here's some bonus gameplay from Shivaxi! Yes, the game is exclusively multiplayer. Sorry I didn't make that clear; will update OP. MWLL featured on MandaloreGaming's latest vid! Patch 0.9.1 is out! The 0.9.x series brings with it the Cauldron-Born and Argus mechs, the Rommel MBT, and the Regulator hover tank. A variety of additional features, such as ammo dumping, manual reloading, and persistent camo are also included! 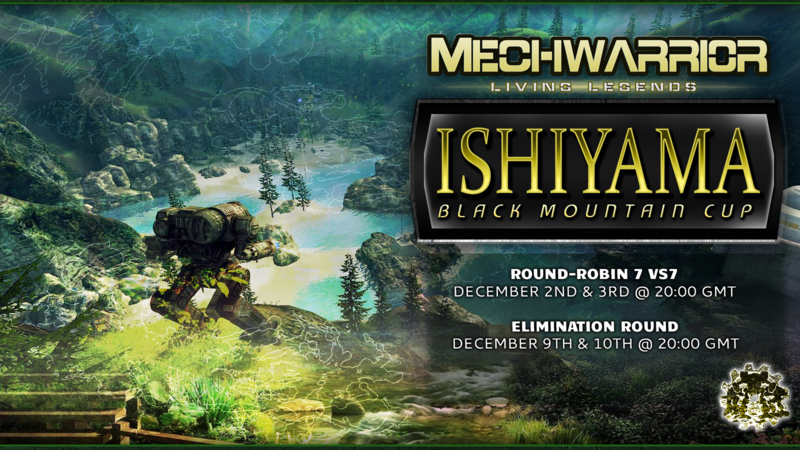 Also, join us in our latest upcoming event - the Ishiyama Black Mountain Cup Tournament! MWLL "Returning to Base" Podcast coming soon! We need your help BattleTech community! Vote for MWLL to get an honorable mention in this year's Mod of the Year on ModDB! We can't win Mod of the Year more than once, sadly, but an honorable mention will show that this game is not dead. Only five days left, so get those votes in and spread the word! And our first podcast is up and out! ​MWLL presents its first real news post since the old days of patch 0.5.6! It's been many years, and the game has changed a ​lot​ since then. Also, our community presents its Returning to Base podcast 2! It covers the Chaos March event, asset creation from the perspective of one of our modelers, and everything about aircraft! Makes me sorry I backed MWO, well at least it taught me a lesson. Good to see MWLL back. Thank you for reminding me to update this thread! In short, the most major updates include the new Anubis light 'mech (with its unique stealth armour), the Mithras light tank, the Rusalka ASF, the Light PPC, an overhaul of the asset tier and ticket system, and a rather important change to how ticket bleed works on Terrain Control maps. Also, the MWLL dev team is looking for C++, flash, and Lua programmers, and more testers would be a plus. MWLL's dev team has announced a search for talented volunteers as we make the push for arguably the biggest (if not most difficult) series of changes to the game yet! As some of you may already know, the Battle Armor system is due for a massive overhaul, but we can't do it without more programmers in our team. Thus, MWLL is looking for experienced C++, Lua, and Flash programmers willing to devote some free time to enrich this awesome project of passion! As work continues to pour into update 0.9.5, we are pleased to release a few preview screenshots to tease you! New updates - 0.10.0 (formerly 0.9.5, changed because the changes included are way too many ) and its hotfix 0.10.1 - are out, bringing with them the foundation for the long-awaited the Battle Armor rework, as well as a new tank, two new maps, and much more! This year's Mod of the Year competition (see https://www.moddb.com/groups/2018-mod-of-the-year-awards) is under way, and it closes in FIVE days!! Additionally, we have an exciting preview of 0.10.2 for you in our latest ModDB article! Thank you for your votes thus far, and we hope you enjoy this preview! When in doubt, alpha strike! Just got a quick question here. So I've been trying to use a Dedicated Server to test 10.3 which I just downloaded but the Server's are not appearing in the list and the connect to IP is not working ether. Also, you may want to ask in the tech support channel on the MWLL discord at discord.me/mwll, as I'm sure someone there will be able to help you better than I.